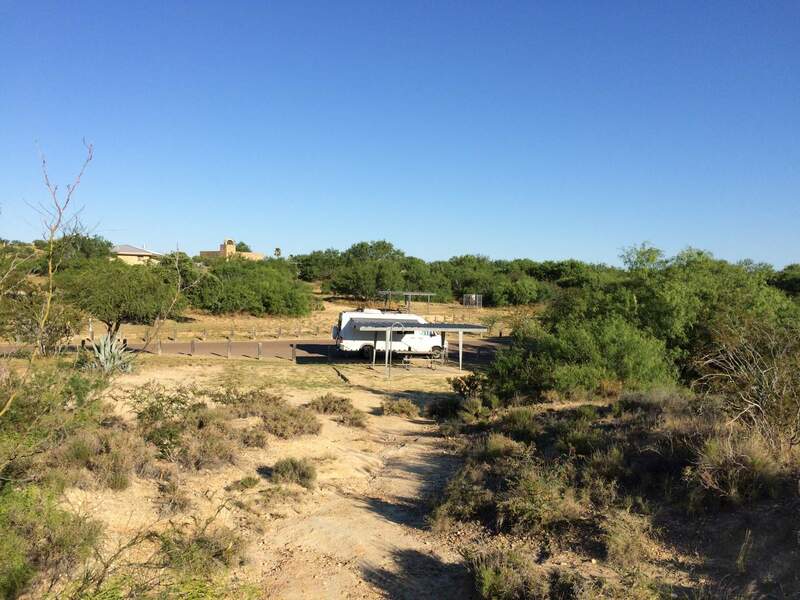 Located just a few miles north of the Mexican border close to Laredo, TX is Lake Casa Blanca State Park. The lake is actually a 1700 acres reservoir that was built in 1951. I stayed there on a Friday night and was surprised that the Campground was quite empty. Only a handful of campsites were occupied. The main activity on the lake is fishing and boating, so expect some noise from the (power) boats during the day. If you’re that far south in Texas, the State Park is just a short 20 minute drive from Interstate 35. I set up camp on site 119 which is close to the water. You’re not directly on the water but a really short walk to the lake. (where above panorama photo was made). The campsite itself was a pull through with electricity and water. You’ll also get a shelter and a fire ring. 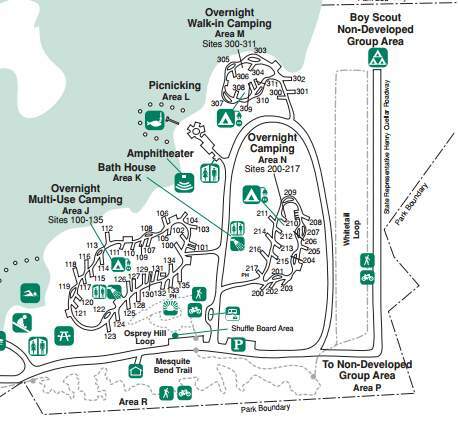 The campground has 56 sites similar to that and 10 sites that also have a sewer hookup for bigger RV’s. The Campground has restrooms and showers and the facilities were updated and clean. During my stay the showers only had cold water – which in 95 degree weather is not too bad. There are a few short trails around the lake but I didn’t check them out. The purpose of my trip was simply a shake down drive for an upcoming longer road trip so I was exhausted from driving and didn’t feel like walking. I’ve seen State Park Rangers driving through the campground on a regular basis. Other than that I only met the staff when checking in. They were friendly and helped me picking a good campsite. The campsite was $18 for the night and you have to pay an additional $4 entrance fee to the park. I think this is a fair price for what you’re getting.